Dean Delany, Derek Pender, Roberto Lopes, Aiden Price, Daniel Byrne, Anto Murphy, Kevin Devaney (Craig Walsh 79), Eoin Wearen, Paddy Kavanagh, Steven Beattie, Dinny Corcoran (Jason Byrne 83). Brendan Clarke, Ger O'Brien, Lorcan Fitzgerald, Ken Oman, Kenny Browne, Greg Bolger, James Chambers, Conor McCormack (Lee Lynch 7), Conan Byrne, Mark Quigley, Chris Forrester (Christy Fagan 67). 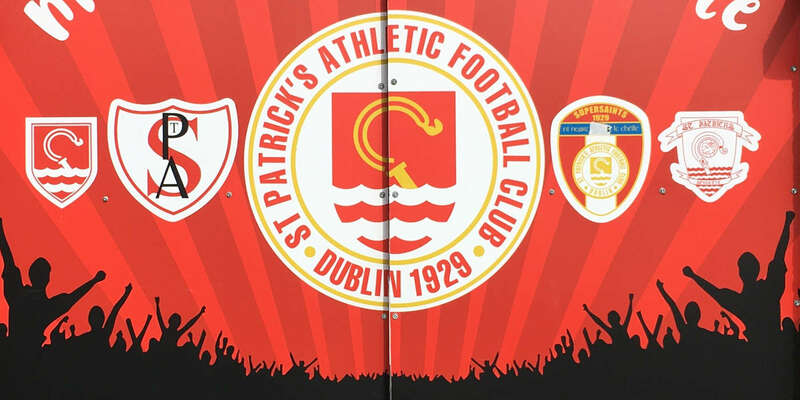 St Patrick's Athletic and Bohemians played out a 1-1 draw at Dalymount Park, as The Saints failed to keep the pressure on Cork City and Dundalk at the top of the SSE Airtricity League Premier Division. A ninth minute tap-in from Mark Quigley was cancelled out by a majestic curling shot by Eoin Wearen on the half hour as the sides were level at the break despite Bohs looking to have the upper-hand. Kevin Devaney unable to find the target while Pat's' top scorer Christy Fagan had the ball in the net only for it to be ruled out for offside. Bohs almost unlocked the St Pat's defence early on when Kevin Devaney cut in from the right side, bursting past Lorcan Fitzgerald before pulling the ball back from the endline across goal. It missed the onrushing Dinny Corcoran before Paddy kavanagh blazed the ball over the bar from 10 yards. Pats took the lead against the run of play after 10 minutes when Lee Lynch pulled the ball back from the right wing into Conan Byrne. His inch-perfect cross from the right side of the penalty found Mark Quigley, who tapped home first time. Bohs, who had the majority of possession, failed to make the final pass count as Devaney was sent clear when Greg Bolger was dispossessed in midfield but his cross failed find Corcoran once more. Quigley headed straight at Delany on 22 minutes before Chris Forrester was booked for kicking the ball away. Bohs were level on the half hour when Eoin Wearen curled a magnificent effort off his left past Brendan Clarke into the Pat's top-left corner from the centre of the D.
St Pat's were one pass away from restoring their lead with Quigley firing over when he might have played it through for Lynch and control letting Forrester down as a chip over Anto Murphy almost saw the winger through on goal. On the stroke of half-time Dinny Corcoran met Paddy Kavanagh's corner but his header lacked pace and Clarke gathered. 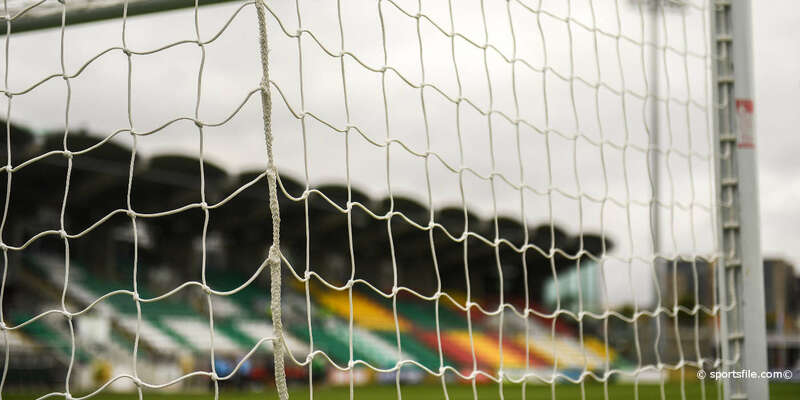 Within 15 seconds of the restart Dinny Corcoran had a gilt-edged opportunity but he blasted the ball high and over with the goal at his mercy with Devaney the provider. The 23-year-old winger was causing havoc down the Bohs right with Fitzgerald unable to deal with him. Three minutes later he jinked past several players after cutting in from the right but his curling left-footed shot went agonisingly past the far post. St Pat's, who lacked a playmaker in midfield to control the game, replied when James Chambers found Quigley on the edge of the area. But, just as in the first half, he fired over as Chambers was bursting forward from midfield. 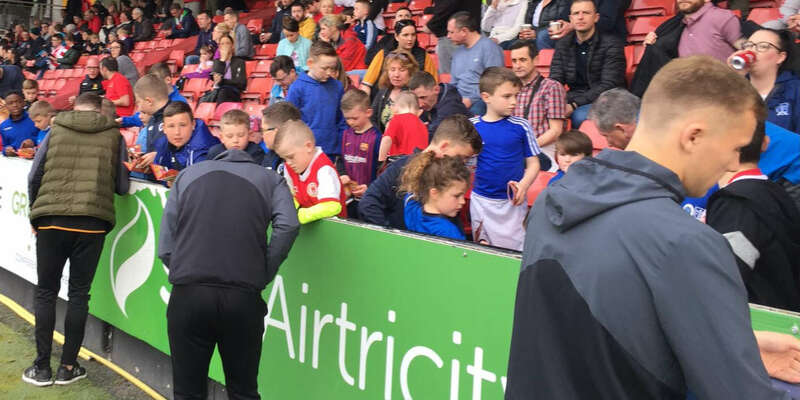 Pat's top scorer Christy Fagan, who was left out of the starting lineup after picking up an injury in training, was introduced by manager Liam Buckley with 23 minutes left. Conan Byrne dragged an effort wide after cutting in from the left before Fagan's dipping header was saved by Delany. Ken Oman's cross saw Fagan slot the ball home but he had his effort ruled out for offside. At the other end Anto Murphy cut in from the right before firing his shot straight at Clarke. It was end to end in the final five minutes with Quigley trying to lob Delany from halfway as Pats broke but his effort was caught comfortably. Wearen was put through by Kavanagh but he had his effort blocked. The point inches Bohs one step closer to safety while Pat's might look back on this at the end of the season as a game that they could have won with a bit more intent.